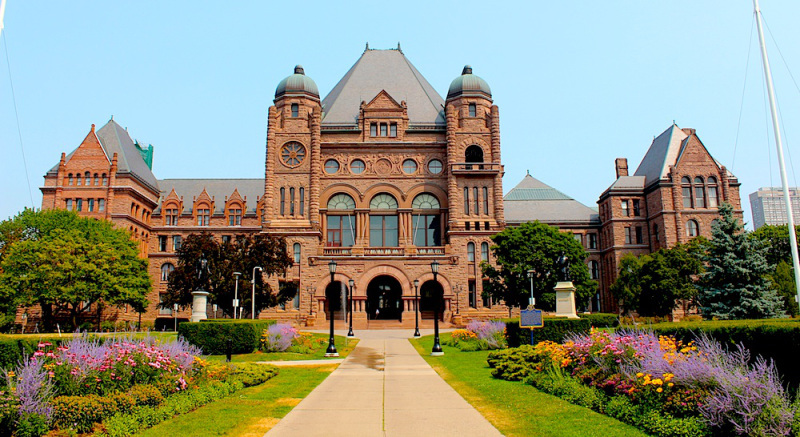 The Ontario Government released its Fall Economic Statement, its first legislative-mandated fiscal update. Key measures include cutting the province’s deficit by $500 million; a major tax cut for low-income workers; and, exempting new rental units from rent control. Click here to access the full economic statement papers. LIFT: Low-Income Individuals and Families Tax Credit Starting in 2019, the government will introduce a new non-refundable tax credit for individuals earning less than $30,000 and families earning less than $60,000. Eligible taxpayers would qualify for a credit of $850 or 5.05 per cent of employment income. Rent controls are being axed on new units: The government is doing away with rent control on new buildings but not changing controls on existing ones. Public subsidies for political parties will be cut; The government is bringing forward legislation that will introduce increased personal contributions to political parties in 2021. By the end of its mandate, the government will move to eliminate public subsidies to political parties. 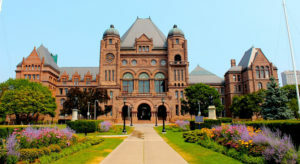 The Deficit The Ford Government is touting measures to find $3.2 billion in efficiencies in internal operations however it will see a fall in revenues of $2.7 billion due to tax cuts and foregone revenue from the cancellation of cap-and-trade. This year’s deficit will be $14.5 billion, $500 million less than originally forecast. Cutting the number of legislative officers from nine to six; These include the environmental commissioner, child and youth advocate and French language commissioner positions. Cancelling a planned surtax on high earning Ontarians proposed by the previous Liberal government. Carbon Tax; The Ontario government intends to pursue new measures to show the “true” cost of the carbon tax is broken out and listed on items such as natural gas bills, directly on gas pumps and on gas receipts for consumers. Cancellation of proposed French-language University, on top of three other cancelled university satellite campuses in the Greater Toronto Area. Hydro Adjustment; The Ford Government believes that electricity bills are still too high. Price mitigation measures to lower bills will be implemented. Of particular note is the way the Province views the Global Adjustment, an item that received considerable scrutiny by the Auditor General in 2017. Current electricity price reductions will be borne by future ratepayers thus the government will introduce legislation that makes the Global Adjustment more transparent while addressing the way it is financed. Employer Health Tax Exemption private-sector employers may be eligible for an exemption from the EHT up to $450,000 of payroll. Further, the EHT exemption will increase to $490,000 in 2019. Small Business Tax Limit The 2018 Ontario Budget proposed to adopt similar measures implemented by the Federal Government to phase out the $500,000 business limit for corporations on passive income. The Ford Government will not implement this measure. All Ontario small businesses will continue to receive the Ontario small business deduction. Election Finances Act Amendments The government is introducing legislation that would reduce the allowances to registered political parties and constituency associations in 2021. By the end of its mandate, the government will eliminate allowances completely in 2022. Measures to Enhance Business Competitiveness Measures to make the province more business-friendly were already announced such as the cancellation of the cap-and-trade carbon tax and the capping of the minimum wage at $14. Today the government announced that WSIB premiums will be reduced. Broadband & Cellular The Province will release a broadband and cellular strategy in early 2019, outlining an action plan to expand broadband, digital services and cellular access in unserved and underserved areas. Natural Gas The government is taking action to allow the private sector to expand access to natural gas across Ontario, with the introduction of the Access to Natural Gas Act, 2018. WSIB Review The government is launching a review of the workers compensation system to ensure it remains sustainable in the future. Royal Canadian Legion Property Tax Exemption The Government will create a province wide property tax exemption for properties occupied by Ontario branches of the Royal Canadian Legion. Cannabis Retail Stores Strict rules will be implemented and regulated by the Alcohol and Gaming Commission of Ontario (AGCO) to ensure that cannabis distribution is tightly controlled. Zero tolerance will be enforced for selling cannabis to minors; strict limits will be enforced on locating stores near schools, playgrounds, parks and child care facilities; hefty fines will be applied to retailers who contravene the law. Mental Health and Addictions The government will be working closely with front‐line care providers, along with mental health and addictions organizations, hospitals and, most importantly, patients to ensure that the people of Ontario get the mental health care they need. Celebrating Special Hockey Day The government proposes to formally recognize March 27, 2019 as Special Hockey Day. Special Hockey is a version of ice hockey played by athletes with developmental disabilities or cognitive disorders. Toronto Transit Commission Subway Upload The TTC infrastructure will be the Province’s responsibility instead of the City of Toronto. Auto Insurance The Government is committed to reducing lower auto insurance rates. This will include a review of how auto insurance rates are regulated in collaboration with the Financial Services Regulatory Authority of Ontario. Modernization measures will include: using electronic communication to show proof of insurance; the deployment of usage-based insurance technology; the launch of e-commerce similar to what is offered by financial institutions. Review of High-Speed Rail The Province is exploring the potential for a faster and more reliable passenger rail service, including options to upgrade existing rail corridors, create new ones or utilize other forms of transportation. If you require more information on any of these items or the fall economic statement, our team of consultants is available to provide further detail.